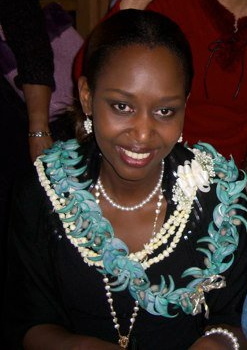 Immaculee Ilibagiza is the wonderful woman who inspired me to learn to forgive. I got the chance to hear her speak and to meet her four years ago, and I encourage any of you who have the chance to hear her speak to go. I wrote a blog post about this back in September. You can click here if you missed it. Today, I found a wonderful article about her that explains how hard forgiveness was initially for her too. You can read it by clicking on the link below. I felt a squeeze in my heart while reading about her story. She’s an amazing woman to be able to forgive the wrong doing brought about by the genocide. I had read something about this woman’s story before. Such an inspiration. Thanks you for sharing. You are welcome and thank you for stopping by and commenting! Beautiful woman and beautiful soul…. Her story is very inspiring. I have worked on the campaign to establish a U.S. Department of Peace and some of the most dedicated advocates for this are refugees from Rawanda. They lost loved ones and they still let go. Awe inspiring. Thank you for sharing this. We need to hear these stories and be inspired by strong fellow human beings who walk this earth. Thank you! I agree. I work hard to try to follow her example, but I am still a work in progress. She sounds like an amazing woman. What an incredible testimony of forgiveness. She is amazing, no doubt about it! She is unassuming and a true gentle soul who turned what was a horrible experience into something truly inspiring.